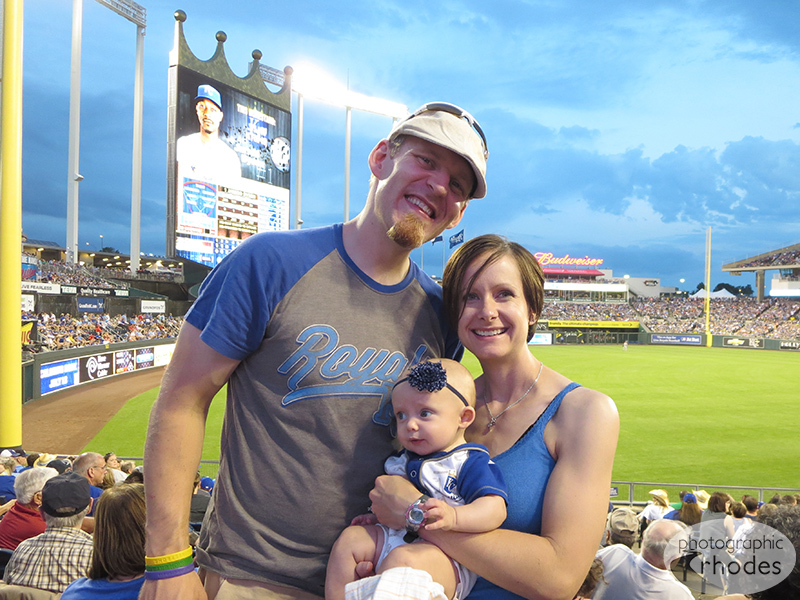 This weekend we attended Baby K’s third Royals game! You may think I’m a huge baseball fan, but I admit that isn’t exactly true. I do enjoy baseball, but usually one Royals game a year is enough for me. We just happened to have the opportunity to go to three games this season – and we sure picked a great one for it! Baby K is obviously good luck – they won all three games we attended. And she’s on her way to being an even bigger fan, because her Uncle Matt spoiled her with some cute girly Royals onesies! 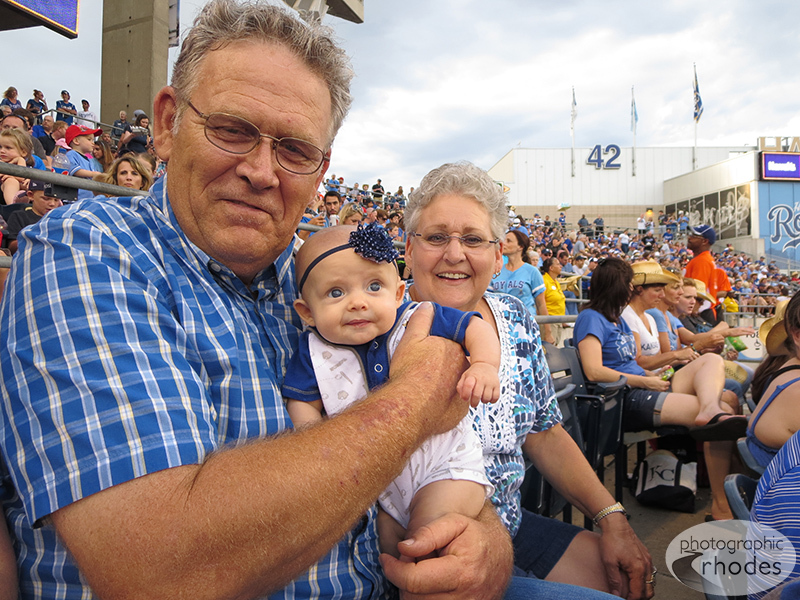 Baby K with Grandpa and Grandma Rhodes.